What's New in Elementary 2.0? Update: As Andrew have pointed out in the comments below, there was a slight mistake in version numbering. It's Elementary 2.0 GTK theme and Elementary 2.5 icon theme respectively. I have updated the post accordingly. Elementary 2.0 gtk theme brings in the much anticipated dark panel variant. And it looks beautiful. Learn how to enable dark panel in Ubuntu, steps required are described below Elementary 2.0 installation instruction. Webkit based Midori browser and Gedit also gets some neat touches and they look a lot more integrated with the overall theme. Elementary 2.0 gets new progress bar and a much more refined Nautilus Elementary as well. How to Install Elementary 2.0 GTK Theme in Ubuntu 10.10 Maverick Meerkat? The latest Elementary 2.5 theme is available in elementaryart PPA already. Do the following in Terminal to install Elementary 2.0 in Ubuntu 10.10 Maverick Meerkat. Done. Elementary 2.5 icon theme is not available in the PPA yet, you need to manually download an install it instead. 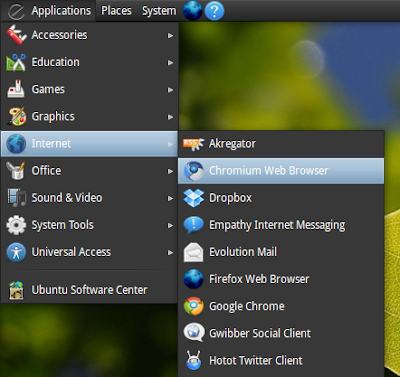 Download Elementary 2.5 icon theme. How to Enable Dark Panels in Elementary GTK Theme? 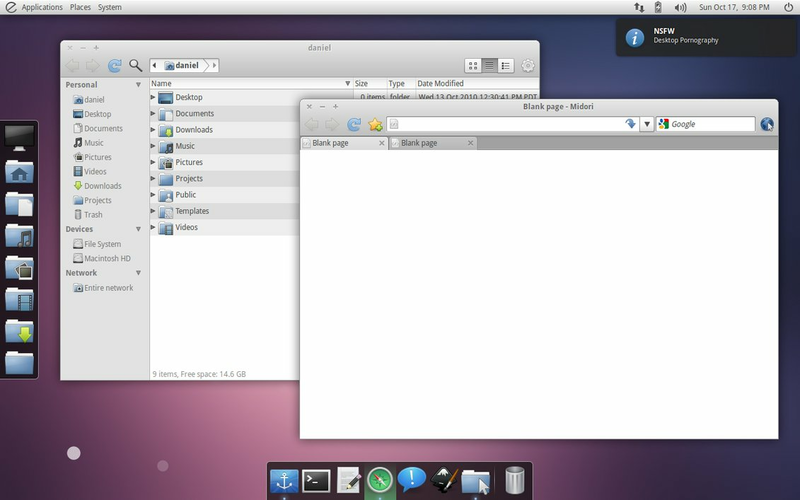 After installing, you might have already noticed that, there is no separate dark panel elementary theme. Do the following to enable dark panel in Elementary 2.0 gtk theme. Open Elementary theme gtkrc file. For that, simply type the following in Terminal. I am using Gedit here for the sake of simplicity. Now, scroll to the bottom part and change include "Apps/panel.rc" to include "Apps/panel-dark.rc. Thats it, save and exit. If you have installed Elementary 2.0 by manually downloading it without using PPA, you will find specific gtkrc file under /home/USER/.themes directory. I loved the improvements with latest Elementary 2.0 GTK theme and the modified icon theme looks slick as well. But for me, Equinox GTK Theme + Faenza Icon Theme is still the best.